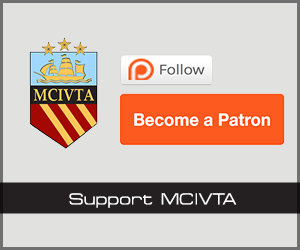 The following is a presentation of the LIVE @MCIVTA Twitter stream from the match against West Ham combined with more in-depth comments on the incidents. It was the regular team-setup and Pellegrini’s preferred 4-4-2 system. Very similar to the one he played against CSKA mid-week where City succumbed so dramatically in the second half. Aguero was brilliant on his own against Spurs last week, but was now teamed up again with Edin Dzeko. The Bosnian seems to struggle a bit at the moment, although he set up Aguero beautifully for the opening goal against CSKA. 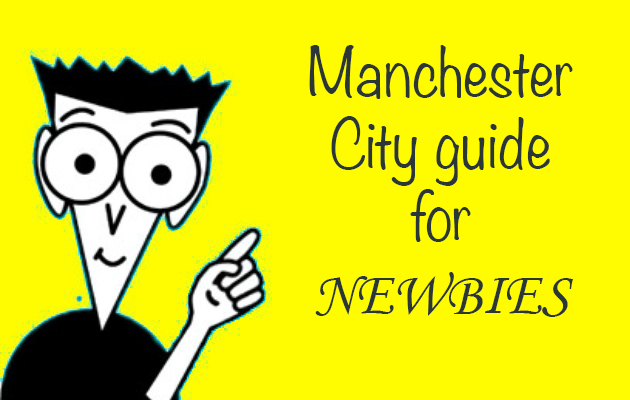 The only changes from the mid-week game were Navas and Clichy replacing Milner and Kolarov. Milner in particular has looked superb lately and the change must only be due to Pellegrini’s rotation plan as City are playing 6 games in 18 days at the moment. Joe Hart did well to block out Valencia’s shot and is hit in the face in the process. Luckily the big goalkeeper quickly shook off what seemed like a nasty blow at first glance, and he was soon at his feet again. But the incident was an early warning of things to come…. Oh Mangala Mangala with all your speed and agility. The defender looked rooted to the ground as Valencia sprinted past him and delivered a loose ball bouncing across the face of the goal. Zabaleta was not able to adjust his pace to pick up the pass and the ball went just behind him in what seemed like “slow-motion”. The right-back instead floored his own goalkeeper preventing him from getting to the ball, and from there it was an easy task for Amalfitano to put the loose ball into the empty net. 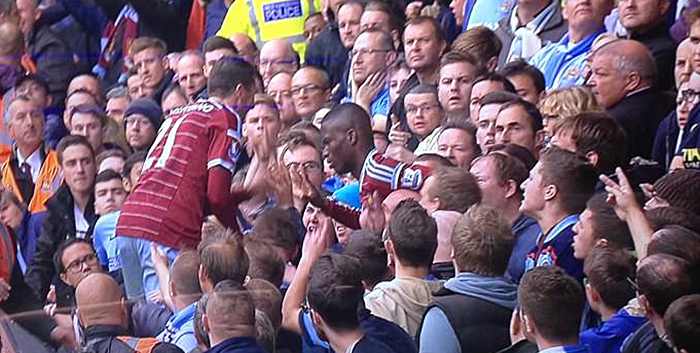 Valencia ended his run in the stand amongst the visiting City-fans but appeared unharmed from the incident. Kudos to the fans for not bagging him underneath their seats. Amalfitano on the other hand should have been yellow carded for climbing after Valencia and celebrating the goal in front of the visiting fans (he patted Valencia on the head instead of helping him out). If rules are to be rules the goal-scorer should have received his second yellow card at this point. Right from the start it looked like Aguero or Silva would be the ones City could rely on to make an attempt to score. Dzeko won a few duels in the air, and Navas got into position a few times, but neither looked like providing the final touch. Remember last season when these free-kicks were going in by the minute? It may have been a hard tackle, but it looked fair. He got the ball, and then the player. Later in the game nothing was given when a City player was flattened in similar fashion inside the West Ham area. 48. Aguero nearly scores from 2m. The ball found the Argentinian but he had little time to react and squandered it. Had he scored it would have been another magical act from the mercurial striker. Not the last time Song would get down with the ball in his hands, but the only time he was yellow carded. On the other hand this was the dominant figure in the middle of the pitch in this game. He easily out-shone Yaya, and worked hard to keep the City defense under constant attack. How unfair this game turned out to be. City were pushing for the equalizer and had two good attempts stopped by the woodwork. But instead it’s West Ham that double their lead on a header from the smallest guy in the pitch (well maybe not the smallest). Hart tried desperately to keep it out but the Hawk-eye was ruthless. Silva responded magnificently. He slid past the West Ham players like a ninja in the dark and placed the ball out of Adrian’s reach. To the City-fans it felt like this really should have been the equalizer. At last Milner got his chance and he worked his socks off for the rest of the game. Sadly it was too little too late for us. Last October City wrapped up a comfortable 3-1 win against West Ham in London. This October proved to be a completely different story. Big Sam said before the game the West Ham would cash in on the long mid-week travel City had to visit CSKA in sub-zero Moscow. He was true to his words and the home team attacked City high in the field and never let the Blues get comfortable on the ball. Although City made nearly twice as many passes and had the ball 70% of the time, the Hammers did well to close down and block any attempts at goal. And when City were able to break through it was only to find the woodwork instead of the back of the net. It took some magical skills from David Silva to put us back into the game with a goal tailor-made for YouTube. The Hammers did get a bit lucky with their opening goal both in terms of how incidents played in their favor, and the fact that Amalfitano really should have been sent off for celebrating among the wrong set of fans. But in the end the win was not a coincidence; It was good work by Big Sam, and not so good work by our charming man Pellegrini.